Flying should encompass both a feeling of timelessness and peace. You have the ability to cross different time zones, you’re not battling road traffic and you can completely relax into your journey. In a world where fancy trends and fads are exciting, it’s still important to radiate the timeless value of the classics that keep the passenger in a timeless world. And amenity kits are the perfect vessel to create a keepsake of tradition. Of course, being on time and punctual is a typically German trait, so who would be better to forge knowledge and culture to create a time-centered kit than three German companies? 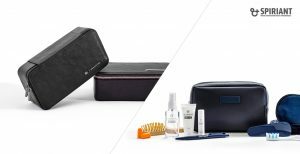 We joined forces with Lufthansa and renowned watch company Sinn to create a beautifully vintage amenity kit that houses up to three watches. 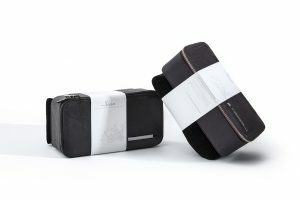 First Class passengers can take their watch collection with them on their journey, encasing them in classic ribbon and cushioning for trusted padding and protection. In keeping with the materials, the kit houses luxurious La Prairie cosmetics for a high-value finish. We created an amenity kit for Egypt Air that embodies true classic qualities. Luxurious and elegant, it offers passengers the timeless design of a Cerruti bag and the sophistication of Aigner cosmetics for a perfect brand partnership. The truth is, classic never goes out of fashion. At SPIRIANT, we understand that while many are in a race against time to join in the latest trends, sometimes it pays to take a step back in time and appreciate a vintage look.